Since the release I’ve gotten a ton of questions and I thought I’d answer a bunch of them here as a way to explain the project and get more of the detailed information out there. Why on earth did you think this was a good idea? Well I’ve been told by many people this is crazy and it probably is. The motivation is actually very simple. As a student I constantly listened to recordings of the greatest orchestras in the world to study the best percussionists in the world. However, I was often frustrated because I could not hear the subtle intricacies of the excerpts I knew those great players were playing. I was very jealous of my instrumental colleagues who had “excerpt CD’s”. These were solo recordings of the standard repertoire made by either their teachers or other icons of their field. But there were no similar resources for percussionists, and that’s what motivated me to tackle this project for today’s students. Audio isn’t enough anymore. We play a very physical instrument. How we create sounds is done in a very physical way and video aids in the learning process. Video has also become increasingly easier to capture (John Parks is laughing right now) and it simply had to be a part of the process. When was the last time you actually bought a DVD? That’s why online. I decided to make 2 videos per excerpt. The first would be a simple recording. No frills, just a recording. This would be for easy access when practicing in the practice room and you want a quick reference. No need to skip around to find the exact passage you are looking for. The second is a longer tutorial video where I discuss the important aspects of each passage as well as discuss my interpretation of them. While this can also be used in the practice room, it is a bit more long form and is meant for true study, not a quick reference. Can I download the videos? Will they only be available to be streamed? The videos will only be accessible through streaming. This is for many reasons. It’s harder to control where content goes after it has been downloaded. This scares publishers who gave me permission to use their property. Plus, unless you are on an airplane, wireless internet is everywhere so streaming should be available whenever you need it. Wait… turns out there is even internet on airplanes. Why are you releasing these videos in volumes? As you will see, the recording and production of these videos takes a LONG time. I don’t want to release anything until it is 100% ready. The plan is to release different volumes (by instrument family) until all of the repertoire is up. Plus I have a full time job and a home life I very much enjoy. This is (albeit a very large) side project. I recorded all of the performances on stage at Powell Hall (where the Saint Louis Symphony performs). I could have recorded these excerpts in my home studio or in a recording studio but that’s not where the application of all of this happens. Professional auditions happen on stage. Believe me it would have been much easier to record in a different space, but that’s not the point. I wanted students to be able to hear what these excerpts sound like in the same environment they will be playing them in. Not a dead practice room. How did you come up with the rep for these videos? I went through audition lists from the past 2 decades and compiled all of them. Now that list was insanely large and impossible to manage. So I culled it down to excerpts that appeared at least twice. That made it slightly more manageable. I then contacted publishers to get permission to distribute their content. A lot of this repertoire is protected under copyright law. Obvious works that are asked on every audition but do not appear here… I will let you do the math on why they are not here. Was the goal to create a definitive recording of these works? In a word, no. I felt like that would be awfully presumptuous of me and a virtually impossible goal. I tried to play the version I felt at the time was the way I would play it at an audition. I’m sure if I repeated this project again in 10 years (which really would be crazy) my interpretation of many of these works would have changed. And that’s the point: there is no definitive recording of any of these works, no matter how good they are or who they are recorded by. And these recordings shouldn’t be treated that way. If your interpretation is a little faster, or a little slower, or a little darker, or a little brighter; and you think that sounds better, then go for it! This is how we all develop our own unique sound and personality. My hope is that these recordings are a great resource for you to find your own version. Are you going to charge for it? The short answer is yes. These videos are HIGH quality and so is the production. 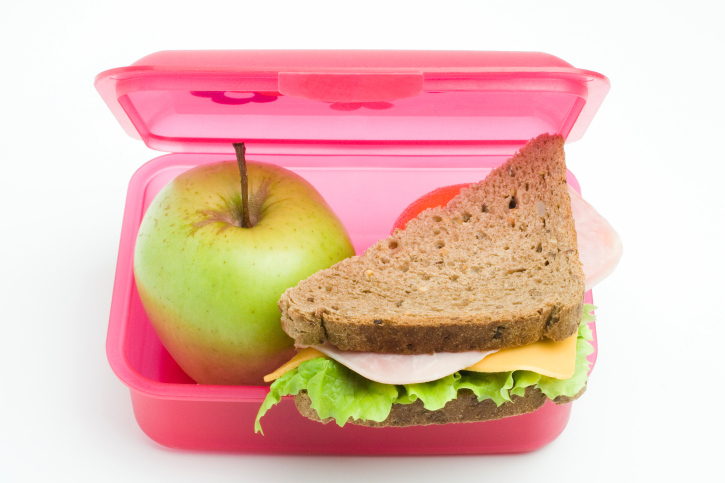 They are also efficiently organized and easy to navigate. You won’t have to search all over YouTube for them. I didn’t want to set up a cheap microphone and 1 camera in my basement and do this on the cheap. The highest quality possible was the goal from day 1. I believe students are starved for HIGH quality recordings of these excerpts. Look on YouTube and you will see videos of high level (and some lower level) players playing a lot of these excerpts. Those videos are great but the recording quality and video quality doesn’t touch these videos. All of this production costs money. Is this going to be a subscription or for purchase? Purchase! One stop shop! Once you purchase access to the volume released, its yours! I hesitate to say forever, given the fact we were all using flip phones 15 years ago, but so long as there is an internet, they will be up! OK get to it, how much? Each volume is $100. When you click “buy” on a video, you will be instructed to set up a small profile. Once you pay (using Paypal or other means of payment) you will create a password with your email and you are good to go! All the videos fall under one package, so once you sign in they are all available. Who else was involved in this project? Lots of people!!!! That was another must in this process. I wanted to surround myself with the best people. John Parks IV has been unbelievably instrumental in making this happen. He has had a hand in virtually everything in the process. He is the reason these videos look the way they do. He also has a killer set of ears and was vital in the editing process. I really can’t give him enough credit. Paul Hennerich is the Saint Louis Symphony’s audio engineer and knows Powell Hall and how to record in it better than anyone. He did all the audio recording and is the reason you can hear everything. In addition to John and Paul; Alan Stewart has been instrumental in producing and listening to me hack my way through all these excerpts. Ron Bolte has been very generous and helped me learn a ton about video and how to get the great shots we did. And there are even more cooler shots to come! There are many, many other people who helped out at different points in the process and I am very grateful for their contributions as well. A full list of credits will be listed on each volume’s page. I hope this answers a lot of your questions about what The Repertoire is all about. I really appreciate all the kind words from you since the announcement. It means a lot! I am really looking forward to seeing and hearing what you think. A lot of work was poured into this project and it has been really exciting to see it come to fruition. I know I would have loved to have access to something like this when I was a student and my hope is that today’s students find it valuable in their own education. OK! This blog post is a long time coming. I’m sure many of you have seen my social media posts about several recording sessions I have had and wondered “what the heck is Will recording?” Well today is the big day. 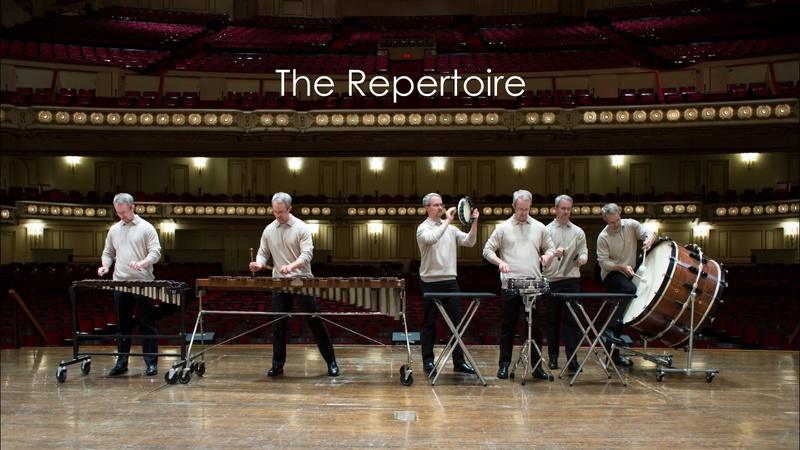 I am unbelievably excited to officially announce a project I’ve been working on for quite a while: “The Repertoire”. The Repertoire is a video library of the standard orchestral repertoire frequently asked in auditions. Say what? That’s right, I’ve been recording instrument by instrument all the standard percussion excerpts. And some that we wish were not so standard! Because I’m not super human and haven’t figured out a way to bend time, the entire project will be released in volumes, organized by instrument. Each work, will have a performance only video (which is designed for quick access in the practice room) and a tutorial video (which will be a much more in depth explanation of the excerpt and my thought process on how to play it). The first volume will be released Monday, April 3rd!!! There will be a ton more information coming to you in the weeks ahead but today I am pumped to give you the basics. Keep your eyes and ears open in the next few days as more details come your way. It’s that time of year when high school seniors all over the country spend the better part of 6 weeks flying all over the place to audition for college music schools. It’s incredibly exciting but also nerve racking for those seniors. And for good reason! There is a lot riding on it! I’ve helped numerous high school seniors get ready for these auditions and (while an increasingly long time ago) I remember fondly the experience myself. Here is some of my best advice and tips for those about to embark on this journey. Don’t worry about anyone but yourself. This is much easier said than done. However, you can’t control who shows up to the audition, how good they are, when they play, or how well they play. All you have control over is how well YOU play. For those who are not as familiar with an audition where tons of people are showing up, it can be incredibly intimidating. Everyone around you seems to sound awesome and it can feel like they hear every mistake you make in your warm up. Here’s the thing, everyone feels this way. Everyone is nervous and insecure. It’s in your best interest to just ignore all of that noise and concentrate on you. Do what you need to do to sound your best and forget about what everyone else is doing. Carry all “must have” essentials on the airplane. This is especially important for percussionists. You can take the audition without a snare drum stand, but you can’t take it without the snare drum. Carry the snare drum on. While I suggest bringing a snare drum stand so you won’t have to worry about finding one there, the school will understand if your bag is lost. You also can take the audition without your dress clothes, but you can’t take it without your sticks. Again, the school will understand casual attire in that scenario but if you don’t have snare drum sticks it’s going to be hard to sound your best. In that last week before you leave, plan out exactly how you will pack and travel. Make a binder with copies of the music you have prepared with a coversheet listing it. This is something very small you can do to look very professional. Think about it from the professor’s point of view. They are listening to tons of people that day and they won’t remember what you tell them you have prepared. A simple binder with clean copies of all the music makes it so much easier for them. Dress nice, but not too nice. You want to look professional but there is no need for a suit and certainly not a tux! (I’ve heard stories) Some nice pants and a sweater should do the trick. You need to be comfortable so wear something that you can comfortably play in. In the week or two leading up to the audition take mock auditions wearing the same outfit so you know you will feel comfortable. 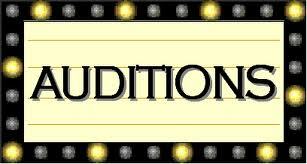 Remember you are auditioning the school as well. Yes the school is trying to choose who should get in but you also have to decide if you want to go there. If your experience with the professor and the school is negative, maybe what you thought was a good option, isn’t. The school makes the first decision (who gets in) but you make the final decision (where to go). Don’t forget that in the audition. You need to be taking mental notes on whether it is the right fit for you. Play plenty of mock auditions before taking that first audition. Experience is the best way to cure nerves. Many high schoolers have never been in that sort of high pressure situation. Pressure and nerves aren’t the worst thing in the world. They can actually help you focus and play better. But that only happens if you know how to channel them into positive energy. Try to replicate as much of the conditions you will be under in the actual audition. Play for people you don’t study with to recreate the scenario at the audition. Play mock auditions at the same time of day you will be playing at the audition. This is especially important for those traveling west to east and might have to play at what feels like a very early hour. By recreating these conditions multiple times (like a lot) you will become more comfortable with executing your game plan when it matters. In the actual audition, if something goes wrong, move on as quickly as possible. There will be days or times that your playing just isn’t feeling comfortable. Sadly, this is life and you have to do the best with what you have that day. If something doesn’t go as well as you had hoped in the audition, move on mentally as quickly as possible. The only thing you can control is how well you play the next thing. What is in the past is in the past. If you play something and you know with 100% certainly you can do it better, ask to play it again. You only get one of these requests an audition but you can make it. 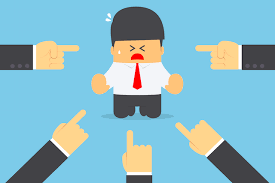 Mistakes happen and showing the committee that you know something wasn’t great, you can correct it, and then doing it immediately can actually be impressive. This should not be frequent though. Only ask to play something again if you know it was a fluke and are certain you will nail it the second time. Take care of your body. At this point in the preparation another run through and an extra hour of practice probably isn’t going to make a huge difference. However, an extra hour of sleep and a good diet WILL make a big difference. Think of yourself as an athlete now and it’s time to put your body in the best position to perform. This may be a new concept to some but trust me, in those last few days getting good sleep and eating good foods will help you play better more than living in the practice room. Check out the rest of the school. Talk to current students. The most important thing you can learn at this audition is how you interact with the professor and their teaching style, but next is what you think of the overall school and the studio vibe. You will be potentially be spending a TON of time with these people and in this environment. You better be sure it’s one you want to be in. Good luck to all of those seniors taking these auditions. It’s an exciting time! I look back on my experiences very fondly even though I was very nervous. Try to enjoy the ride and feel good about all the work that led up to this point. Multiple teachers have told me that it’s about the journey not the arrival and it’s so true. Your improvement came from the months and months of work, not the one day at the audition. And of course once it’s over, spend a day or two on the couch and put the sticks away!!! One of the most common questions I get about solos and excerpts is “What tempo do you take for ______”. If I had a dollar for how many times I’ve been asked how fast I take Porgy and Bess… Sometimes the answer is easy and sometimes it’s not. Since this is such a common dilemma I figured a blog post was in order. While the metronome is one of the most valuable tools a musician can use, I do not like using beats per minute when answering the tempo question. Sure I could say “Play Porgy and Bess at 115 bpm”, but that doesn’t really help in the long run. 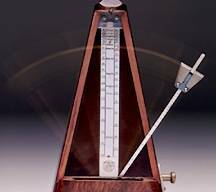 Remember, the metronome is just a tool and you won’t have it in the performance! If I have a very clear image in my head of style, attitude, and musical goals; I actually arrive at my ideal tempo more often than if I try to pull 115 right out of the air. Sure one day it might be 113 and the next it might be 117 but I am much more consistent when focusing on musical ideas than tempo markings. 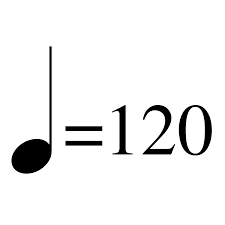 Most people go immediately to YouTube or audio recordings to check the tempo someone else took for a solo or excerpt. I do as well! However, this is just one piece of a very complicated puzzle. Sometimes I leave my research with more questions than answers! Let’s say we listen to 6 recordings and the tempos are 86, 90, 92, 100, 96, and 87. Hardly a clear picture. Rather than just taking the average and deciding upon 93 or so, I use this information and allow it to confirm my ultimate choice. Let’s say this excerpt is laid back and heavy in style. Perhaps, that means I want to take it on the slower side to show that weight. Maybe 89 is best as it is slower, but not the slowest. What if the excerpt is light and energetic? Perhaps leaning towards the top end of the range is appropriate. Say, 96? I see recordings as very valuable, but not the definitive resource. Even if I’m auditioning for the Chicago Symphony, I shouldn’t take the tempo they took with Barenboim on a recording. Maybe the rest of the musicians hated that tempo. What if it is totally contrary to every thought I have about the piece? What if only half the committee even played on that recording? Just because a great orchestra took 1 piece at 1 tempo, doesn’t mean you should. Let style and musical decisions guide your way rather than 1 example. The room you are performing in can have an influence on your ideal tempo. I remember I took an audition in high school for All-State and the timpani part of the audition was in the auto shop. No lie…. Talk about a less than ideal environment. If the room you are playing in is small and extremely dry, perhaps you might want to take a tempo slightly quicker so you don’t sound too naked. In contrast, if the room you are playing in is large and boomy, perhaps you want to take your tempo slightly slower so the panel can actually hear every note you are playing. These recommendations are slight and should not change the overall style you are going for. You don’t want to be thought of as insensitive to the space, but you also want to be true to yourself. When playing an ensemble work by yourself (an excerpt), the tempo most orchestras take may not sound as representative when playing the part solo. For instance, it can be hard to get 90 musicians to fly through the beginning of Carnival Overture. The train just moves slower with 90 people on it as opposed to just 1. I like to take Carnival slightly faster than most recordings because I don’t have to worry about anyone else keeping up. This also helps the character I’m going for of light and energetic. On the flip side, an excerpt might sound better slightly slower than when played in the group because it can demonstrate control. How do all of your tempos relate? In an audition setting you are playing multiple excerpts, from multiple pieces, representing many styles, in very quick succession. For example, let’s say you are playing 12 excerpts in a round. If 5 of those are right in the middle of the “acceptable tempo” range and 7 are on the “slightly quicker” than normal range, you might be perceived as nervous or out of control by the panel. While I would never change your philosophy greatly on any particular excerpt, I would recommend looking at all of them in total and ask yourself “Am I talking too large a percentage on the fast side?” Or… “Am I taking too large a percentage on the slow side?” You can use quicker or slower tempos to help you represent character extremely well, but if you always tend to lean to the fast or slow side, it can be seen more as a tendency than a conscious choice. What tempo can you actually execute consistently? If your Bach solo just doesn’t feel comfortable at the tempo other colleagues are taking it, then why try to fly too close to the sun and risk failure? The example I use to students is imagine you are standing next to a 100 ft cliff. If I asked you to stand with your toes hanging off the edge you would be pretty nervous! Especially if a strong breeze came by. But if I then asked you to take a step and a half backwards, all the sudden your comfort level would increase dramatically. It’s the same with your tempo. 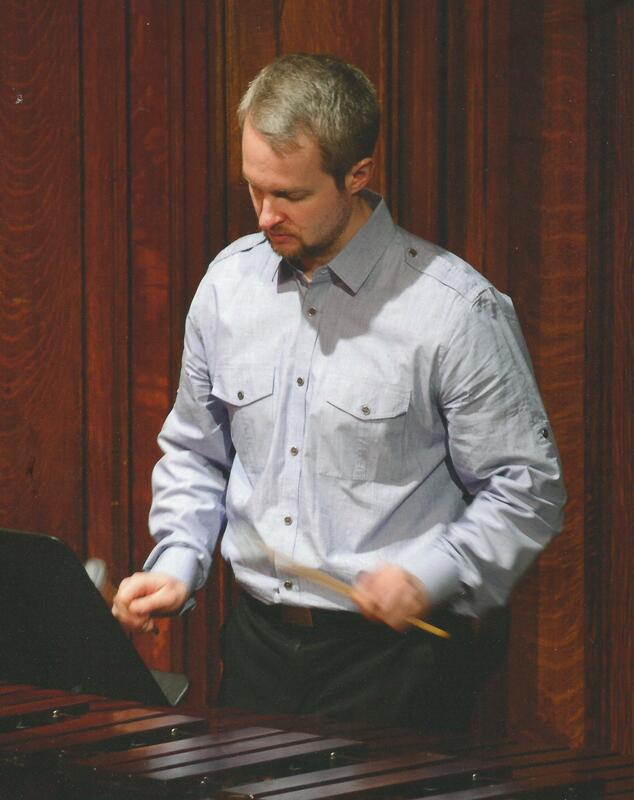 If your marimba solo or excerpt just doesn’t feel comfortable, just back off 3-4 clicks and see if that changes things. It may not change the style as much as you think and you will gain a lot more points in execution than you might lose from a less than ideal tempo. If there is a tempo change, make it obvious. When should you play the performance practice and when shouldn’t you? This is a case by case basis obviously but hopefully I can give you some tools to help decide. My first instinct is to always play the ink. That’s what the committee is looking at and it’s hard to argue against it. However, there are instances when deviating from the ink makes sense. The second lick of Shostakovich’s Polka doesn’t say to accel but every performance does. If you make your accel obvious (see #6) the panel will understand what you are doing. Sometimes a change can be too much of a risk. The part could be really obscure and you may know more about it than the panel. For instance, the glock part to Magic Flute is extremely loud in the opera. There is a lot going on onstage and for it to be heard it has to be played out. If you played the part in an audition “mf” however, it would be in such stark contrast to everyone else, you will probably lose some points. There are other times in which the choice can be much tougher to decide. The opening of Pines of Rome does not indicate a tempo change when the meter switches to 3/8, however, every single performance of this changes tempo. I know because I’ve played it many times and I’ve listened to tons of recordings. The spreadsheet below depicts the tempos of 9 different recordings of major symphony orchestras. 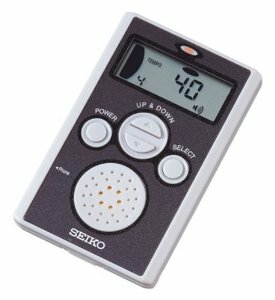 This may seem obvious to make the tempo change, however, since there are rests at the meter change and the panel may not be thinking in the same manner you are, they may question why your time got bad all the sudden. This is a tricky one for me because I have to put trust in the committee to remember the performance practice. I don’t have a definitive decision for you however this transitions me perfectly to #8. When you make a decision, stick to it! To make the best impression in a performance or audition, you want to appear as confident as possible. This means right or wrong, executing the decisions you made in the practice room as accurately as possible. Even if the committee doesn’t agree with your interpretation, they would rather hear a confident one they can understand then a half-hearted effort that might even sound apologetic. In an audition they can always ask you to play it differently. The committee may know tendencies of the hall or the orchestra that you don’t, so if they ask you to play something differently take it as a good sign! They want to hear more! So once those decisions are made, stick to them! In the practice room, don’t be afraid to practice slightly over tempo. We all know the benefits of slow practice. Your first music teacher probably explained that to you, but we rarely talk about practicing “over tempo”. If I told you, you could win $300 if you could lift 200 lbs off the ground, would you train and stop right at 200 lbs? No! You would train so that you could comfortably lift 200 lbs off the ground even when you weren’t feeling your best. The same can be applied to tempo. If you are playing a tricky xylophone excerpt that needs to sound light and effortless, why not try practicing 10 clicks above tempo and then backing off so the ideal tempo actually IS easier. If you find you are slowing down in the trickier passages but maintaining tempo in the straightforward sections, practice a few clicks over to get better at moving through the tough stuff. This is not something I would recommend doing for a large percentage of your practice time because bad habits could form and the feel could change too dramatically, but it is definitely a tool that can be very useful! Finally, what tempo do YOU like the most? Choosing an ultimate tempo can be tricky and there are lots of factors to consider (clearly…) but ultimately YOU have to make the decision. YOU have to take ownership of the performance and feel like it represents YOU. Ok, enough with the all caps… you get my point. If you go through this process and find that you just like Colas slightly quicker than others, then go for it! If you think the solo in Bartok’s Concerto for Orchestra should be slower, then go for it! All of these choices we make help give the panel a sense of our personality. Being too bland and conservative isn’t a great thing. Obviously being wild and out of control isn’t either, but choosing your spots and showing some personality will separate you in the end. With most college students headed back to school next week I thought I would write a blog post about my time in school. While this is focused primarily for undergrads and grads it certainly can apply to those in high school. Believe it or not this post was inspired by listening to an old Coldplay album while working out. 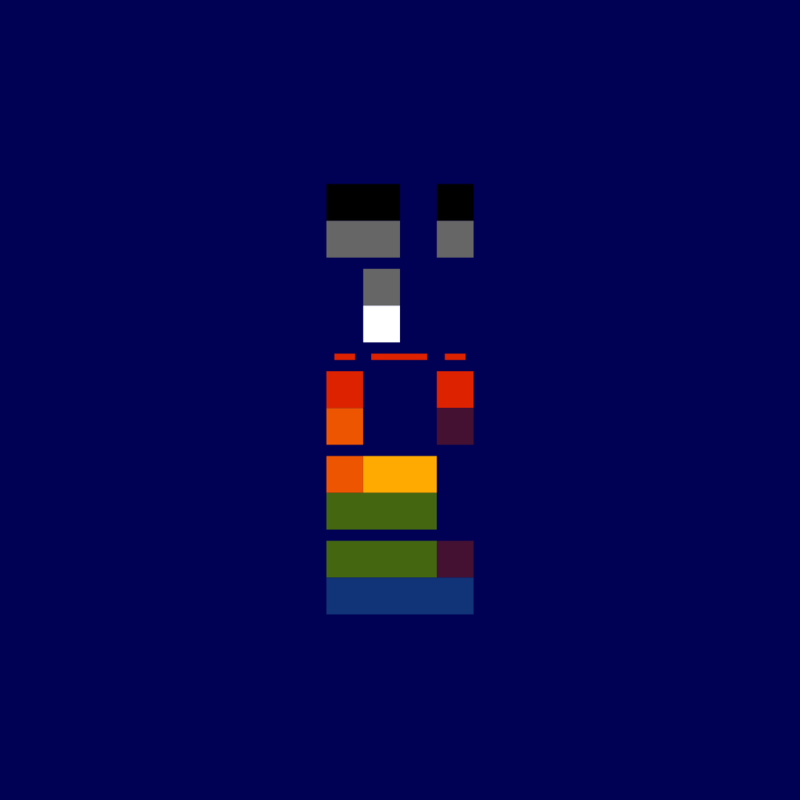 I used to listen to their X & Y album while working out in school and at New World. I hadn’t given it a listen in a while and thought, why not. (A good album to throw in the mix to survive a long cardio day by the way). Since it had been almost a decade since I had really given it a listen, memories of where I was back then came flooding back. Where I was living, what I was working on, who I was working with. The biggest memory was how focused and dedicated I was able to be towards getting better and improving as a musician. At the time it felt like a struggle, and I guess it was, but in retrospect I was making huge progress. I don’t always think of that time as positive, but for some reason, with a little distance, I look back with great fondness. Then all of these thoughts felt odd because I’m still trying to improve, still trying to find ways to get better, and definitely still looking for new challenges; but it’s just not the same. I have a job now and although it is one as a professional musician, believe it or not, that can get in the way of focusing singularly on improving. I don’t have as much time to rethink a technique or go back to the beginning. The paying audience isn’t going to care very much that I would like to spend a few weeks on Stick Control and my rudimental playing. My last realization was, that time spent at school and at New World in the practice room was the time I improved the most. The time I spent pushing the boundaries the most. So that means that you, yes YOU (student currently in school) are the ones pushing the boundaries now. Playing cleaner… playing softer… playing faster… playing with even more shape… playing with more emotion… figuring out a better way to execute a difficult passage or skill..
Take advantage of this time you have. This precious time you have to fully dedicate yourself to getting better and pushing the boundaries of what is possible. It’s all worth it. No matter what level of success you ultimately achieve, you are pursuing what you love to do and that’s so much better than digging ditches for a living. Whether you feel like it or not YOU are the ones pushing the boundaries of what our field can do. Keep your head down and keep working. Don’t be in too big of a hurry to look up and check your progress. I made the most progress when my head was down and I wasn’t looking around at everyone else. Life changes, and I’m glad it changes, because I don’t think I could have kept up that pace and intensity forever. Family becomes a priority over music (and it should). While improving as a musician and trying to discover a better “widget” to help us accomplish our musical goals will always be a priority, as you get older it naturally falls down the priority list. So take advantage of this time you have students! 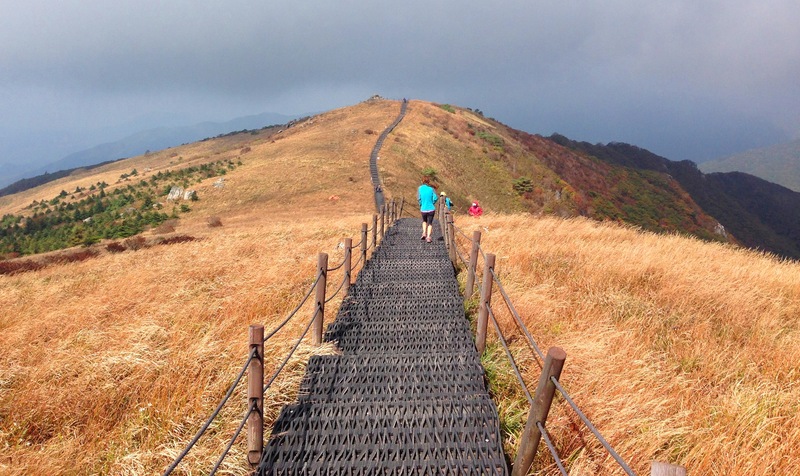 Have fun and enjoy the experience by all means, but also know that you will look back a decade from now and realize this is when you were making the most progress. No one likes to be criticized. It’s much more fun when our colleagues praise us for how great we are. However, in the real world, we encounter, seek out and receive criticism. How we deal with that criticism is an enormous part of how we improve. Some criticism is bad and should be ignored, but a lot of it is good and should be weighed very heavily. Today I will discuss why we tend to hate criticism, how to absorb it in the right way and then use it as a tool for improvement. We plain just don’t like it. Deep in our subconscious we know that the process of analyzing the criticism is very difficult and we would rather just continue along thinking we are great. And we are right! It’s much easier to continue doing the same thing and patting ourselves on the back thinking we are great. We don’t like the source. We focus on where the criticism is coming from and not the criticism itself. If we don’t like someone or are jealous of someone, it is very easy to push aside any critique we may be receiving. Occasionally critique from a bad source should be ignored, but this is far from the norm. We are already happy with the final result. How often have you thought you were finished with something and someone makes a comment that questions your entire approach? I hate that! Much easier to ignore that comment and continue with your head buried in the sand. I think we can all agree that completely turning our back against criticism is a bad thing. However, it can be harder to recognize these subconscious thoughts and rationalizations than you would think. Our ego can get in the way and we simply tell ourselves everything is fine. I’ve had students who don’t even realize how big their ego is. I don’t blame them because it’s human nature to want to believe you are great at something. This is why how criticism is delivered is soooooo important. A teacher saying, “this is terrible” is not helpful. That sort of criticism is most likely to be ignored and the student revolt against the teacher’s ideas. Even in the worst performances, there are positive points to be made. All too often, as teachers, we forget to say “do it exactly like that again”. We focus on the negative. Even if the positive point is very small, it gives the player something to try and repeat. This also helps soften the blow of negative criticism. When something needs fixing, it is much easier to be direct rather than vague about it. The “this is terrible” comment is vague. “You were dragging through the rests in measures 5-7” is a much more direct and useful comment. A level even deeper is asking why the mistake happened. Could it be because the player wasn’t subdividing? Could it be because the playing was so technical the player needed more time to recover in the rests. This exploratory criticism will be of much more help. Sadly we don’t always get that sort of direct criticism and we have to do our own exploring and analyzing. If we are given a somewhat vague comment or less than helpful critique then we are left to our own devises to fix the error. There are numerous ways we can check ourselves and do our own self analyzing. Recording is the best method because it removes yourself from the situation so you are listening as a listener and not as a player. You can assess the level of the problem; large, medium, or small and brainstorm the best solution to the issue. If you don’t hear the issue you can record yourself again. If you still don’t hear it, your issue could be a consistency issue. You can do repetitive games to try and raise your level of consistency. If you stilllllll don’t hear the issue then perhaps you fixed the problem simply from hearing the comment and being aware of it. There is also the possibility it was just a bad comment and nothing was wrong. Now as frustrating as that can be, it’s not the end of the world. You went through this long process of analyzing and came out the other side knowing your playing is correct. How great is that! Rather than being bummed thinking you “wasted time”, be confident that you really know it’s right now. This leads me right into the point of this blog post; a philosophy far too few people have. Welcoming and embracing criticism. Because critique is difficult to hear we often avoid it. In fact most of us do. Really successful people however, run toward it. The most frustrating situation for successful people is to have something wrong and not know it. This is why they ask colleagues for advice all the time. They don’t want to miss something. They embrace the critique. In rehearsal I will often turn to my colleagues and ask “was I late on that note?” “Is this present enough?” “Do you like this mallet?” I want to know what they think. They are removed from the situation and can answer objectively because they aren’t the one playing. This also applies to obstacles in ones playing. If you know you have a weakness, embrace it and say “I am going to fix this, no matter how hard I have to work.” Rather than pretend your playing is acceptable and there is no room for improvement, always be looking for areas for improvement. I find teachers who have this attitude make better instructors because they know how to struggle with something and get through it. They can help their students through the period of struggle and out the other side. Teachers who have lots of natural ability and didn’t struggle as much I find have more difficulty helping students through their own struggles. I try as much as possible to take this attitude of embracing criticism to all areas of life. The other day I was in the gym working out and all of my warm ups felt great. I was hoping to hit some high numbers on my heavy lifts. However, once I got towards the heavy weights things felt wrong. I couldn’t figure it out but I knew something was out of whack. My trainer was in the other room and I grabbed him for a minute and had him check out my form. After my first set he said “your right knee isn’t pushing out. Your right side looks tight, like your hip is locked up.” He suggested a few stretches I could do to open it up. After stretching a bit, the hip and knee felt much better. He was right… There was no way of me realizing this without asking for a second opinion. My form will be better in the future and I might even recognize the situation next time and not need to ask for help. While I didn’t hit the personal bests I was hoping for, I made a correction and I know how to correct it next time. Do you do this in your own practice room at school? I asked people to come in and listen to me play all the time when in school. Your colleagues are most likely going through the same thing or have gone through it and can really help. There is a polite way to do this of course and you should always be respectful of other people’s time. Be sure to always thank a colleague for their thoughts. Occasionally there are times that you should ignore criticism. Understanding when, can be delicate. Bad criticism can really paralyze you. We have talked about how we want to avoid being controlled by our ego, however we still want confidence! Being confident in your playing is very different than being driven by ego. Confidence is you knowing that you have done the task before and can repeat it again. Bad criticism can kill confidence. While we have been over the much more common scenario of embracing critique, there are times to ignore advice and just move on. Not everyone approaches their playing the same way. That is a good thing! It’s how we all have our own personalities. Sometimes we can choose to not heed someone’s advice because we think it goes against our personal preference. The key is to make sure it’s not the scenario where your ego is getting in the way and you just not wanting to change. If after trying out someone’s advice and you don’t like it, then maybe you should stick to your guns. In my experience it all comes down to whether or not you embrace criticism. Some may be good, some may be bad, but you have to welcome it. If you run from critique, you will be destined for mediocrity. Getting feedback from others on your playing is the quickest way to improve, even if it is sometimes painful. I can’t over-emphasize how important time management has been to any success I have had. Between the orchestra’s schedule, my own personal projects, chamber performances and my personal life; I have a lot to balance! And I know I am not alone. Keeping all of those balls in the air is tough, but having a plan helps. A common frustration I hear from students is how to prepare and be ready when they have so many projects going on at the same time. Today, as a part of my Process Series, I’m going to explain how I build a timeline so that I can accomplish my goals on multiple projects and not let anything fall through the cracks. The first bit of advice I will give is to write those goals down. It is one thing to have them in your head, but it is another to see them on paper. It makes them concrete. I write mine on a dry erase board in my studio. I’m forced to see them every time I walk into the studio. They can be small goals like bumping a solo up 5 clicks, or big goals like learning a 15 minute contemporary solo. No matter how big or small, writing them down gives them importance. This will hopefully translate into the importance you give them while actually practicing. For planning purposes, I divide goals into 3 categories: Daily Goals, Weekly Goals, and Long Term Goals. This helps me have realistic expectations for each time period. If I break down my long term goals into smaller steps (weekly goals) I am much more likely to achieve them. I then look at my weekly goals and figure out how I can accomplish them in the time I have over the week. It almost becomes a game of Tetris, trying to fit tasks I need to accomplish, into the available time I have during the week. To establish a timeline for all of these goals, the first step is to establish deadlines or dates I want to accomplish those goals by. Sure it would be nice to learn the entire G minor Sonata, but it would be even better to learn it in time for you recital! It is no fun to realize a week or two before a big performance that you aren’t at the point you need to be at. The first step in fighting that is writing down your “due date”. To make sure I hit my goal date I plan backwards from that date to the present. This also can also serve as a a quick reality check to see if that goal is even possible. See my previous post How to Go About Choosing and Learning a New Piece for some tips on how to set yourself up to succeed. Assuming the work I’ve chosen can be learned in the amount of time I have, I can break down the work to accomplish that into manageable weekly goals. 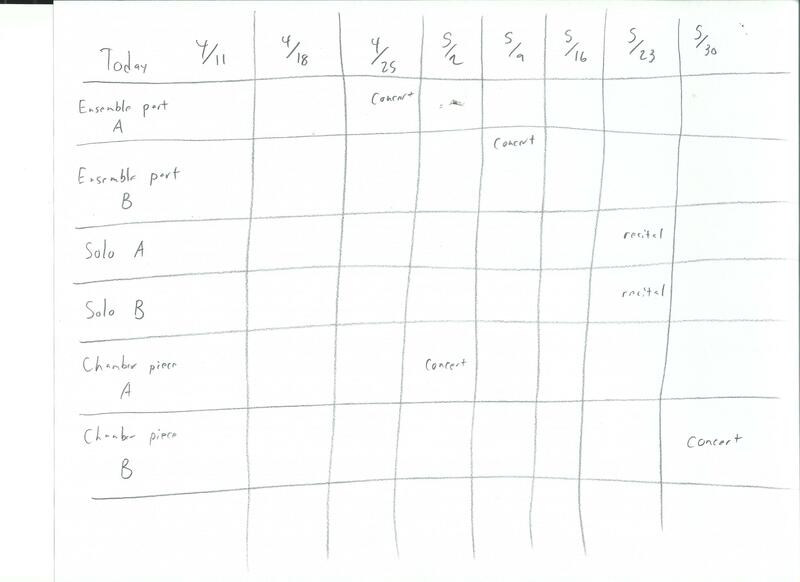 Visually seeing the progress on a sheet of paper is very important for me. Especially when I am frustrated in the practice room. It allows me to struggle with something in the moment, knowing that I don’t have to solve every problem today. Only the one I am currently facing. Without the timeline, it is easy to stress out today, about a goal that really doesn’t need to be tackled for another 2 weeks. There are 500 hundred things you will probably struggle with over the course of learning a piece. However you can really only solve one at a time. Two very important aspects of this method of planning is to regularly reassess your progress and adjust the timeline when needed. The benefit of being able to see the timeline written down, is to trust that if you do everything you set out to do, you will be ready! If you fall behind your timeline, don’t get upset, be glad you realized it so you can allocate more time to what is taking you longer to accomplish. Think about the scenario if you had not made this timeline. 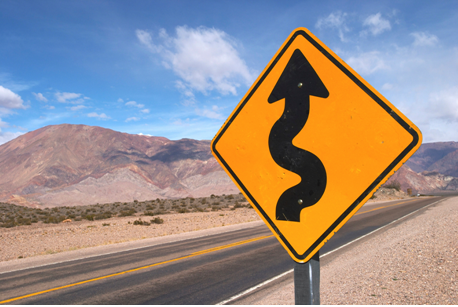 You would keep progressing at the slower pace, not realizing you weren’t going to meet the performance date. Not good! Every week you should re-evaluate the coming week’s goals and allocate your daily practice goals accordingly so you will be on track for the next week. So let’s make a mock timeline. In this scenario I have 2 ensemble parts to prepare, 2 solos to prepare and 2 chamber music parts to prepare. In all scenarios lets say that the “A” piece is the hard one and the “B” piece is more manageable. First I establish when the concerts or “due dates” are. Next I work backwards to establish when those final steps before the performance should be done. I want to establish when I should be ready to play for people, even if it’s not 100% ready and when I should have works close to tempo. Then I establish when to start some works to keep my overall workload manageable. This can be really important! If you know there is a time period that is incredibly busy, do as much preparation when you can on more straightforward things so you can be focused on the tough stuff when your schedule is tight. For instance I have a recital the week before a straightforward chamber piece (B). I don’t want to be worried about the chamber work in the lead up to my recital so I did some early prep in April so I could put it away around the recital. Finally I fill in all the “along the way” goals such as when notes should be memorized even if very under tempo. Where key points are. Some works need more goals along the way and some simply need “notes learned” and “notes up to tempo” checkpoints. Obviously this mock scenario is very vague, but I wanted to leave a lot of room for personalization as everyone prepares differently. Some players really struggle with memorization so they need more time for that. Some memorize very quickly but have trouble putting it all together. A lot of players need significant time to walk through technical challenges. Everyone has their quirks. If a reasonable plan is laid out though, it is much easier to trust. This is INCREDIBLY valuable to me when practicing as it allows me to struggle with something in the moment, knowing that I have the time to fix it and the overall plan will still work. I hope some of these tips can help you manage your time and be ready to play your next performance! OK. I know. This is an impossibly large topic to cover in one blog post. But as it relates to My Process, there are some cornerstone elements to good practicing I can cover in a normal length blog post. Practicing is where 99% of the effort and progress happens. Lessons are short. Rehearsals are infrequent. Performances are even more infrequent. Practicing happens every day. Those lessons, rehearsals, and performances are where we put the pieces of our work together. If good practice hasn’t happened, there simply aren’t going to be enough pieces to put something meaningful together. Two weeks ago I talked about how to begin practicing a new work. I believe those first few practice sessions are the most difficult. Once you have some momentum it’s a lot easier to be productive in the practice room. Today I’m going to cover some of my cornerstones of good practice. The biggest challenge I have with students is shifting their practice goals. Most students think the more hours they spend in the practice room the better they will be. This isn’t always the case. Successful musicians have “Goal Oriented” practice sessions instead of “Total Amount of Time” practice sessions. Focusing on a goal rather than the clock will help you accomplish that goal as quickly as possible. That could be 10 minutes or that could be 4 months. The point isn’t how long it takes, the point is to accomplish that goal. 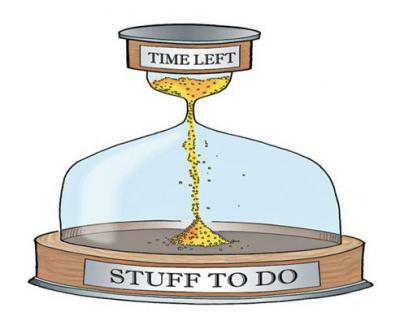 When I am staring at the clock, I find myself distracted and tasks generally take longer. Obviously we all have lives and schedules so ignoring the time isn’t really an option. However that doesn’t mean we have to know what time it is throughout the session. Simply set an alarm clock when you have to be done, and spend that time practicing goals rather than an hour and a half. If you don’t accomplish your goal, you can at least know you were as productive as you possibly could be in the time you had. When deciding on these goals it is important to understand that some goals will take what I call “Calendar Time” and others will take what I call “Hour Time”. Let me give you some examples to explain what I mean. Your snare drum roll isn’t going to go from Morse code to silky smooth in a day. No matter how many hours you practice. That takes calendar time. Trusting a new technique or feeling really solid memorizing Bach, will take days and days. Thus, they improve over calendar time. Smaller tasks such as learning a small orchestra part or memorizing 32 bars of music can be done in a shorter amount of time. Thus hour time. Understanding the difference between the two will help in establishing realistic goals and keep you from pulling your hair out. When we get ahead of ourselves and expect success quicker than it most likely will come, we tend to skip over important parts of the process. Skills like learning the snare drum roll take days of practicing isolated exercises so you trust the new technique. If those days are rushed through, your body will not trust the new technique and thus make small mistakes. Which will then have to be corrected (or even worse not corrected) later. The same is true for memorizing a big marimba piece. If the early days of memorization are not at a careful and deliberate pace, the notes will not be truly cemented in your brain. Thus more memory slips and lower confidence in what you are playing. How many of you have prepared something for a lesson that you thought was ready and then walked in and laid an egg? Who has said “it was fine in the practice room, I just don’t understand why I can’t play it here?” I know I have! Some of that has to do with nerves (which is an entirely different blog post!) but a lot of that has to do with preparation. Often we tend to practice things over and over again until we get them right. When we do this we are practicing warming up with lots of mistakes, and then around the 7th or 8th time we get it right. Well in the real world you don’t get 7 or 8 times through before it really counts. I don’t know who originally said it but I love the quote “Don’t practice until you get it right, practice until you can’t get it wrong.” This is a HUGE difference in philosophy and vitally important in how we practice. 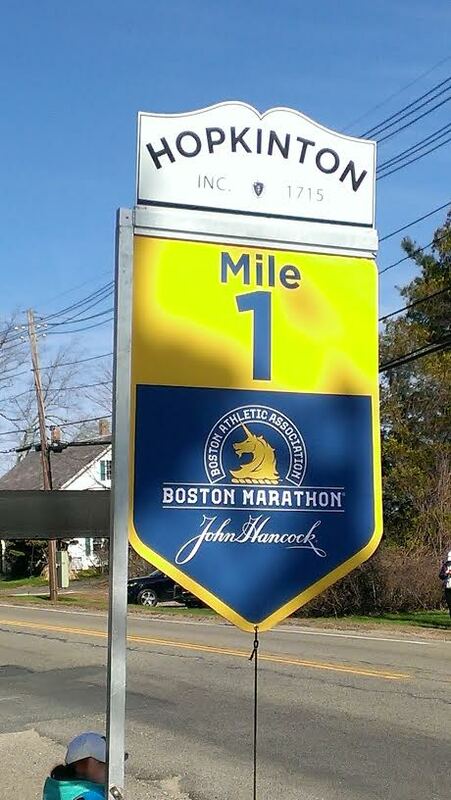 Let’s use the analogy of a marathon to help us understand the pacing of learning a piece. The last post was focusing on those early days in say mile 0 – 2. The researching, the early preparation. 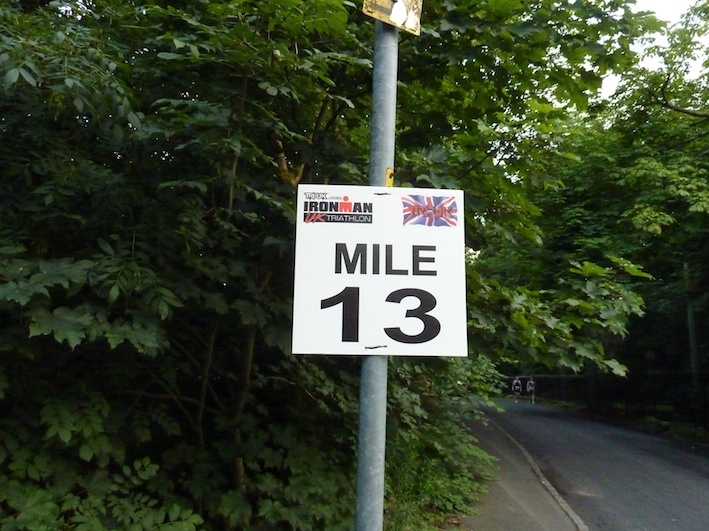 Miles 3 – 5 are really an extension of that. You are problem solving. When drilling sections begin to ask yourself if you are happy with your accuracy. Are you happy with your phrasing? Are you happy with your sticking? Will that sticking work at a faster tempo? Are you happy with your sense of style? If not, slow the tempo down and be VERY deliberate about fixing those issues. If need be, practice in slow motion. This slow motion practice can be out of any sort of tempo and can be to simply walk through whatever issues you are trying to solve. DON’T move on until you have fixed the issue. 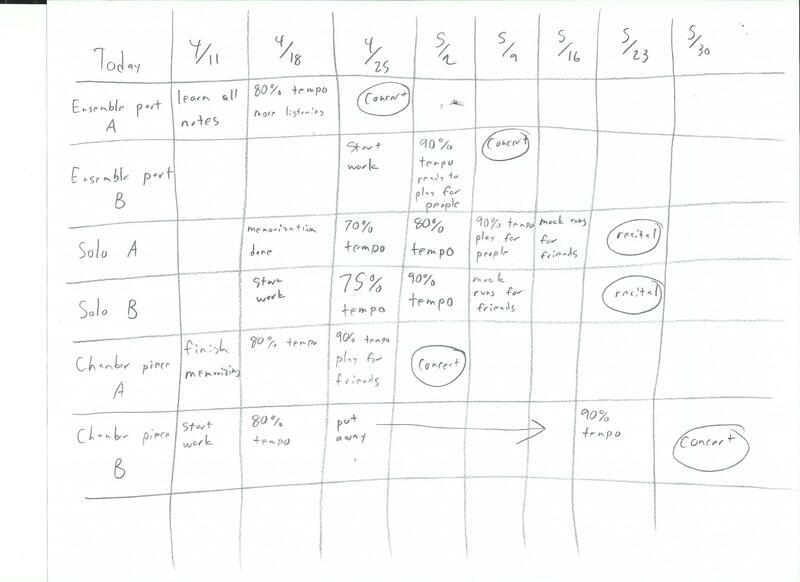 Too many students think that simple repetition will fix problems. This is a lazy attitude. It is much more difficult to really be analytical and tackle the issues but far more efficient. 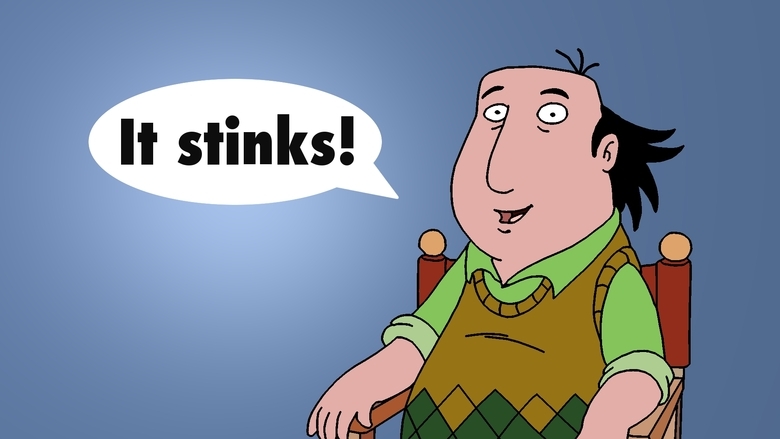 If you realize a sticking probably won’t work when ultimately up to tempo. Stop and walk through options in slow motion. Solve the issue and then find a tempo you can comfortably execute the new sticking. Once most issues have been solved, find a tempo at which you can comfortably execute all of your decisions. This is now your working tempo. The goal should be to establish trust and confidence in our decisions. Not moving up in tempo. It can take a LONG time to get to this point and it can take even longer until you are truly ready to move up in tempo. No matter how slow or how fast, this is our starting point. 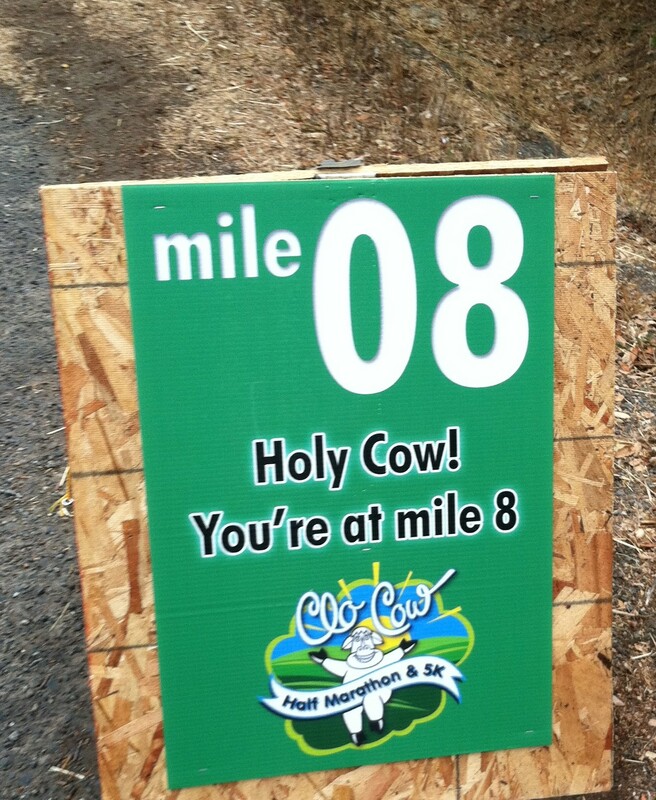 We are at mile 7 or 8 at this point. That’s roughly a third of the way through the entire process! And we have not made any increases in tempo yet. Let that sink in. Roughly a third of the learning process is solving problems and memorization. Most students are not disciplined enough to spend that amount of time on practicing at that slow of a tempo. Because our brains are wired to want success immediately, we all have a tendency to speed up and see what we can do before we are really ready. It’s a natural desire, but one we must fight against. 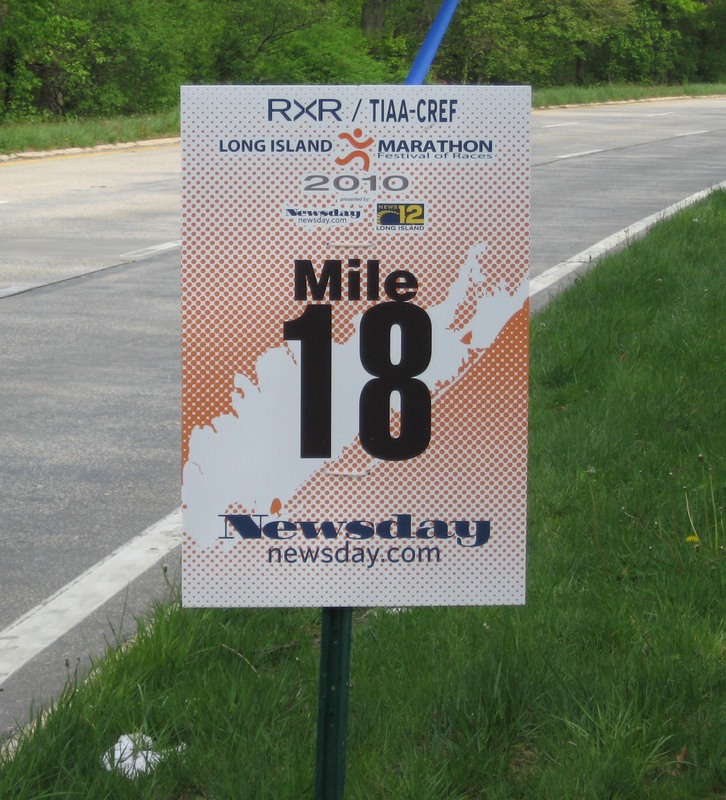 Miles 18 through 23 are when we start switching from practice mode to performance mode. This is the switch from just drilling sections to focusing on performing sections once. Like I said earlier, you don’t get 5 or 6 warm up runs before your performance. You get one shot. When problem solving and working up to tempo you are drilling sections for consistency. Now the job is to be consistent the first time. This shift in focus is really for your brain more so than your hands. I tell students to practice performing once……, a lot. Meaning give yourself one shot at something (without stopping) and when you are done analyze how it went. Then repeat and see if you can improve. This is also a great time to start recording yourself. This sort of pressure will mimic the pressure of performing. 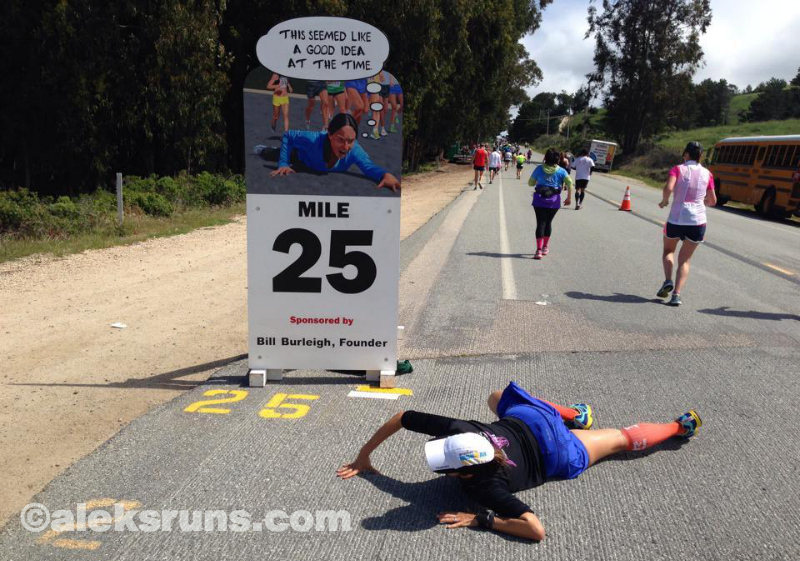 Miles 24 through 26 are for fine tuning and playing for people. You know the piece at this point and you are really close to being ready for your performance. Now you just need to get really comfortable playing in front of people and incorporating small bits of advice your colleagues can give you. Whenever I am at this point I always feel so glad I spent all those hours problem solving early on. I have a ton of confidence because I have solidified those decisions over the last 20 or so “miles”. Now is not when I want to be discovering new issues. We are far too late in the game for that. So much work goes into the beginning so that at this point I am just focusing on execution and musical goals. This learning process is not easy and it can be made even more complicated if you have multiple works to learn at the same time and different performance dates for all of them. That’s our topic for next time! Thanks for the comments and shares on Facebook! In my last blog post I previewed what I call my “process”. 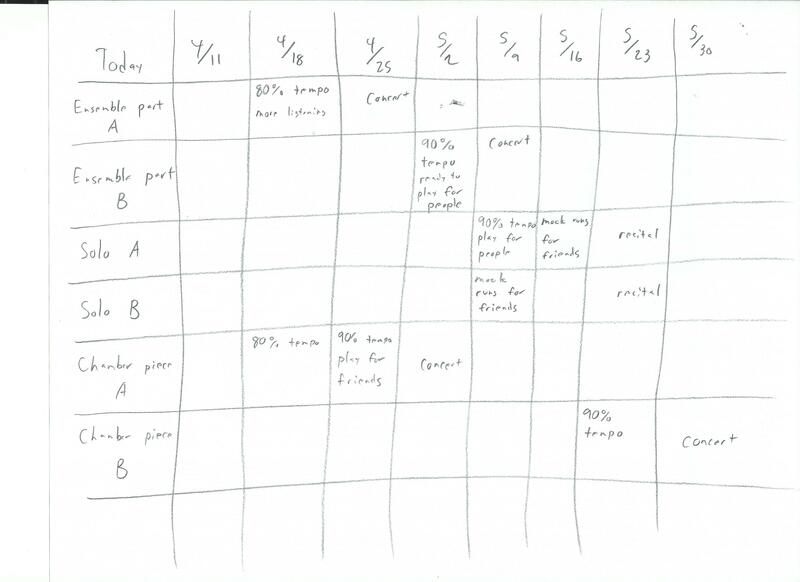 This is the method I have developed to plan, learn, practice, balance, and schedule my time to prepare pieces. In today’s post I will discuss the first part of that which is choosing a piece (when you have that ability) and how the first few days of practicing are approached. Essentially, the beginning of the journey! The reason I feel this part of the process is so important is because I am a huge believer in putting yourself in a position to succeed. NEVER put yourself in a position to fail before you even begin. Sure we will all have failures in our career. It’s a part of being a musician. What I am encouraging is to avoid situations where failing is almost certain from the beginning. I have learned very valuable lessons from my failures. The only lesson I have learned from my failures in which I was never in a position to succeed from the start; was to avoid that scenario at all costs. Don’t misunderstand that I am not encouraging ambition. Ambition is great! Being unrealistic is not. Sometimes putting off learning a piece for a month or two is smarter than adding one more piece of music to your plate. It’s a lot easier to say yes to everything. Learning when to say no is very important! Deciding to prepare a piece that you do not have the technical ability to play yet or the proper amount of time to adequately prepare may seem like an ambitious thing to do. To reach well beyond your grasp to try to improve yourself. I see over-reaching slightly differently psychologically. In sports this can be called fake hustle. Fake hustle is when you know you are going to fail but you pretend to work really hard so at least it gives the impression you gave it your all. It’s like diving for a loose ball going out of bounds when it is already 6 feet away from you. The ball is going out of bounds no matter how hard you throw yourself at it. Some people may admire you for diving for the ball, just like they might admire you for trying to play a piece well outside your current ability. I see this as psychologically damaging because deep down inside, you know you have no chance and your performance wasn’t good. It’s easier to dive for the ball when it is out of reach than to do the speed and strength training to get faster so the ball IS in reach next time. It’s easier to play Variations on Lost Love by Maslanka and miss 20 % of the notes and not play the rhythms accurately than it is to do the 200 hours of Stevens exercises in front of a mirror that will give you the control needed to really nail it! The reason I bring this up is that I believe success and winning is a learned behavior. It also breeds and builds confidence. Having lots of small successes along the way gets you in the habit of succeeding. Even if the success is small, the next time a slightly bigger challenge appears, you can rely on your experience of succeeding and confidently attack the next challenge. The time needed to perform the work correctly and at a high level and do I have that time in my schedule. Is the potential work a reasonable stretch to my ability or unreasonable? Again, ambition is a good thing. Choosing a solo that is a stretch to your current ability can motivate and challenge you to improve your playing. Understanding the difference between a stretch and well out of range is another. Once you have your piece, now it’s time for that first day in the practice room. Boy that can be the toughest day of them all for me. You have no experience yet, all the work is ahead of you. It’s really important to be patient at this point of the process as progress and success will be slow at this point. Don’t rush through important milestones, just to pretend to be making progress. In my experience I have found many students practice by simply repeating things over and over hoping they get better. They also increase the tempo as soon as any small amount of success is reached thinking it is time to move on. This will seem to work and give you what I have started calling an approximate version of the piece. It’s ok, not bad, but not really good either. It’s approximate. The next time you hear someone play a piece outside of their ability you will hear what I am talking about. The problem with this approach is you will end up making lots of very small mistakes initially that will become habits. They will need to be corrected later on as the work gets closer to tempo and you are expecting a more polished product. The next problem students encounter is that they generally don’t know how to solves these issues this late in the process. In the long run this actually takes MORE time than if those issues were spotted initially. 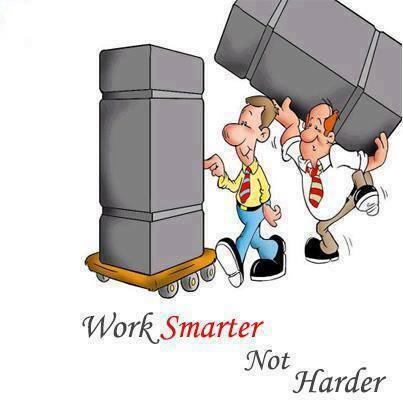 Remember we want to work smart and hard; not just hard. This approach also tends to separate learning the piece technically and learning the work musically. Separating these two parts of the process is a common practice of beginner players but should be abandoned as quickly as possible. The quicker you can learn works technically and musically at the same time, the more success you will have. However, this can make for very slow progress in those first few days of practice. Here are some guidelines and thoughts to help you through those first few days with a piece. Will this work need to be memorized, partially memorized, or read completely? This is important in the long term because if you know a work will need to be memorized, it is easier to start with the goal of memorization from the beginning. Next is looking at what resources I can use to help aid my preparation. Those can be scores, recordings, different editions, or other arrangements or transcriptions. These can be valuable tools as questions arise. Where should I start when learning the piece? Beginning, middle, end? If the beginning is very straight forward but the end is difficult, skip to the end. Read through the piece and give your best guess to where is going to be the most challenging. Focus on solving sticking problems that will come up at faster tempos. A sticking that could work fine under tempo may pose a serious issues at tempo. Start to develop a “radar” for sticking issues early on to avoid practicing troublesome stickings. Even though your learning process is focused understandably on small sections, keep the larger work in mind musically as you make musical decisions. Find a tempo you can play the work (or sections) at consistently. No matter how slow, make sure your accuracy is high (90-95%). My rule of thumb is don’t increase the tempo until you already know before attempting, that you can play it at the next tempo. Think less about learning and memorizing early on and more about solving problems. The more problems you solve early on, the easier the learning or memorizing will go. The next post will focus on how to practice and what to work on at different parts of the process. Obviously “how to practice” could be a doctoral thesis. Don’t worry, I will keep it a reasonable length. But there are some key points I want to touch on, especially on how to be more efficient and how to pace yourself properly so you are ready for the performance. As always, leave comments if you want me to cover something specific and thanks for reading! Happy New Year! (Yes I am aware tomorrow is March) Wow was 2015 a busy year and the start of 2016 hasn’t shown any signs of slowing down either. I have been MIA for a few months as I have had no time to get to the blog. However, my time feverishly practicing has inspired this next series of posts. I have had a lot on my plate since December and it has left me very thankful for what I call my “process”. What I mean by process is my: planning, learning, practicing, balancing, and scheduling my time to prepare pieces. A lot of that comes from experience and knowing what works well for me. I am a planner and I know if I can see a plan in place, then I can trust that plan when it may seem in the moment that there is no way I am going to be ready for the performance. For those who are not planners this may seem like overkill, but for those that are, I hope it helps. I tell my students all the time to “trust the process” and I hope these posts can help you establish your own process. At a certain point the number of available hours in a day simply isn’t going to increase and working “harder” simply isn’t possible. Even if you do sacrifice other things in life such as sleep, exercise, your social life, or family; eventually that will catch up with you and your productivity will fall. This is when you need to start working smarter. You are already working hard, now make sure you are working smart and hard. Having a plan will help you be the most efficient you can during those available hours in the practice room. I will explain my philosophy by using a common analogy. If I equate learning a piece (or multiple pieces) to building a brick wall, I have to start by laying the first brick. Even if the wall will ultimately be 50 feet tall and hundreds of feet long, it starts with one brick. If you stare at the location of your wall and only think about ow hard it’s going to be to build, it can be hard to start. If you stare Bach’s G minor Fugue on the first day of learning it only thinking about the end, you can quickly become overwhelmed. This is an often over-used analogy but I think it is very appropriate. Building a wall, no matter how big, starts with one brick and a plan. Learning the hardest piece you have ever learned starts with the first note and a plan. How I go about choosing and learning a piece. How I go about practicing that piece. How I balance preparing multiple works at the same time. 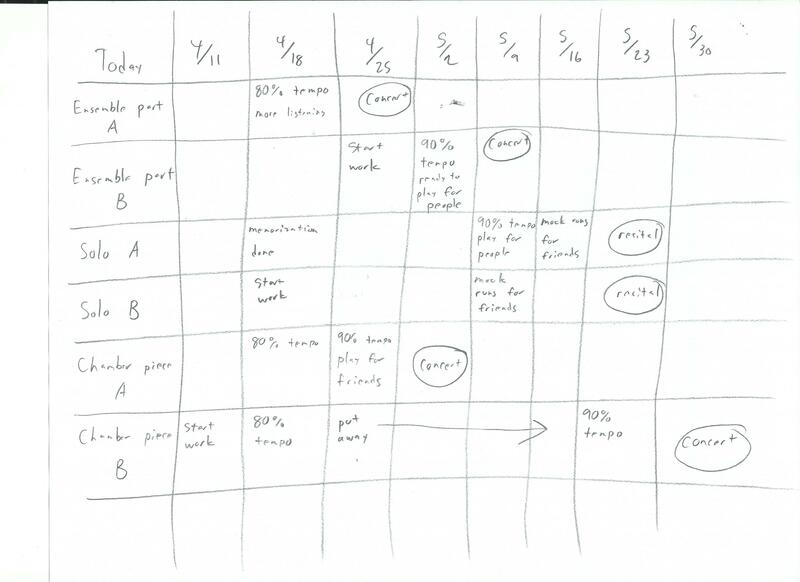 How to build a timeline so your progress and improvement will peak at the performance. I’m sure many of you can relate to the challenges presented above. My hope is to tackle many of them in the upcoming posts. If there is anything specific you would like me to cover, leave a comment here or on my Facebook page. The Modern Concert Snare Drum Roll by William James is available for purchase from Meredith Music. Videos for each chapter in The Modern Concert Snare Drum Roll. Love this St Louis related story. Getting me ready for the Masters!! Mallet testing for the next recording session of #TheRepertoire Turns out it’s hard to see with no stage lights! However @malletechofficial mallets still sound great!